Looking for a little extra zing, then this is the floral for you! 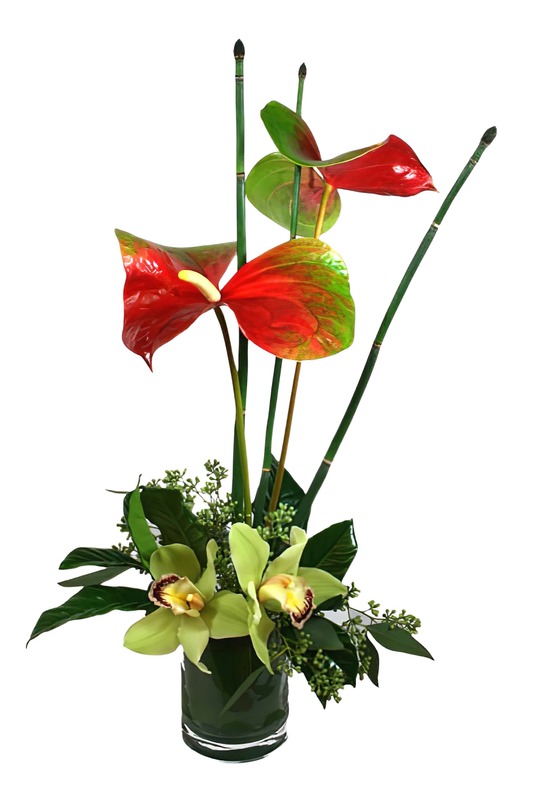 This extravagant piece holds two Wax Leaf Tropicals, Cymbidium Orchids, Bamboo and various greens for an affect that won't soon be forgotten! Give it as a gift or enjoy the beauty for yourself; either way, you can't miss!